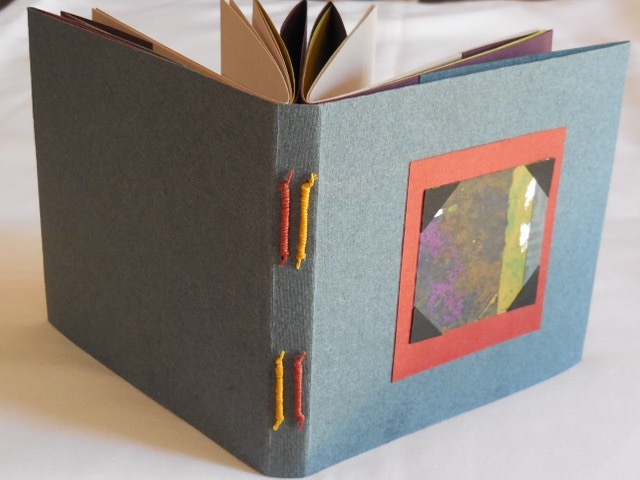 At April's Newport Paper and Book Arts Festival in Newport, Oregon, several NORBAG members took a Tacket Binding class from our member from Alaska, Margo Klass. 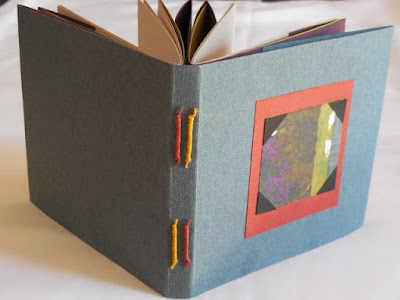 Michele will teach a version of one of those bindings at the June workshop. 12 pieces of text weight paper for the signatures: 6 pieces of text weight paper 8 1/2" x 11" cut in half to 5 1/2" x 8 1/2". When folded, signature size is 5 1/2" x 4 1/4"
Be sure to scroll down to see photos from the May shaving cream marbling workshop.